Ahmed Musa – Back to the Future at CSKA? 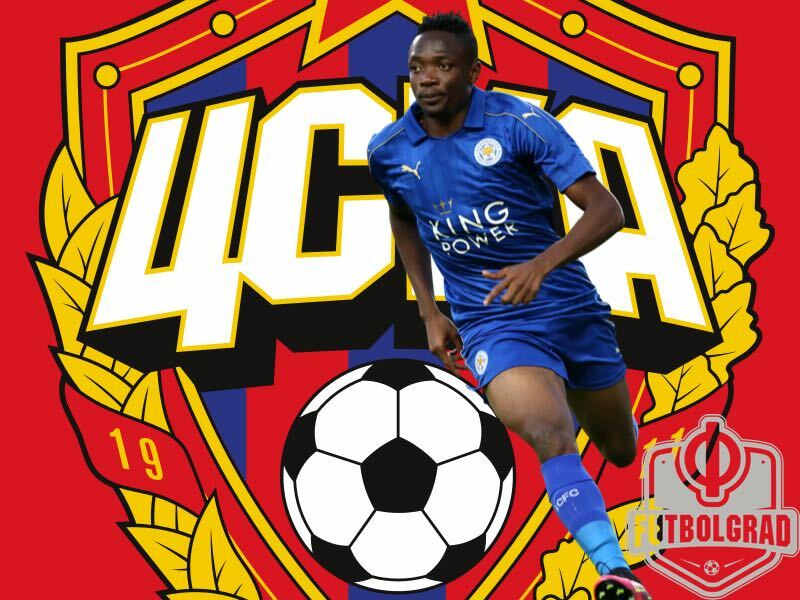 When Ahmed Musa signed for Leicester City from CSKA Moscow for a club record £16 million in 2016, I told my Leicester-supporting friends that he’d do the business for us – plenty of paces, a good eye for goal, a decent European and international record. I guess I may still turn out to be right – though seeing as he’s just moved back to CSKA on loan after failing to impress I might be better to give up my forays into player scouting. Somewhere in the dim and distant past, just as the Musa to Leicester rumours started, I did call a Russian radio football phone-in to express some reservations about the player. Though he had plenty of attributes, I told presenter Yuriy Rozanov, I wasn’t sure that he had enough physical presence to make it in the more physical English game. I’m not sure Rozanov was paying much attention – having realised I was a Leicester fan, he wanted to (rightly) rave about our new signing N’Golo Kanté – but I was closer to the mark back then. Ahmed Musa’s three goals have cost Leicester just over £5 million each, and he’s started just eleven games since the move. Early on he was a regular starter and managed two goals, but he rarely finished a game. He then drifted into the role of late substitute – largely without impact – before entering the career-deadening world of unused substitute / not making the bench at all. 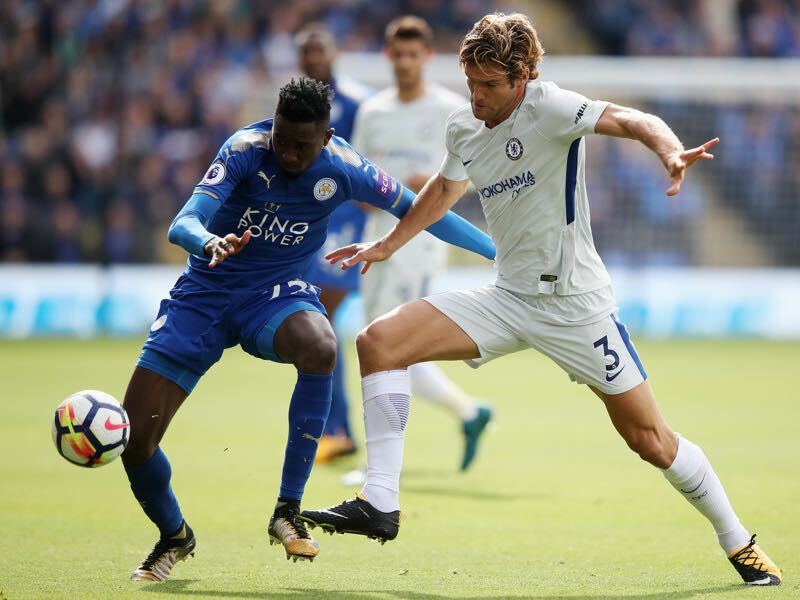 I’d expected Musa to provide stiffer competition for Japanese forward Shinji Okazaki, who linked up play well but rarely scored in Leicester’s title-winning season. Okazaki, however, has continued to see off everybody – a hard-working player who is pacy, strong and a quick thinker. Musa is undoubtedly quick and a superior finisher to Okazaki, but Okazaki is faster at picking that final pass – something Musa would not have been tested with fully in the slower-paced Russian league. The other alternative for Musa would be to challenge Leicester’s wingers for a spot in the team – but here the competition is even stiffer. “He’s a good player with quality. For me he’s not a striker, he’s a winger who can play on the left or right,” manager Claude Puel recently told the BBC. “He can attack space, has good penetration but there’s imbalance in competition with Albrighton, Gray and Mahrez”. That Mahrez has not left Leicester this winter was likely crucial in the club deciding Musa was not even needed as back-up. Ahmed Musa – Could Russia return help his World Cup prospects? The move back to CSKA is the best possible route Musa could take to get into the reckoning for the 2018 World Cup. He has just ten league games, and however long CSKA stay in the Europa League to impress but providing that goes well it will be difficult for Nigeria to leave out a player so familiar with Russia. What is the reaction in Russia to his move? “Musa’s better than nothing for CSKA,” was the less than ringing endorsement of Andrey Sozin, a member of the Russian Football Union’s Ethics Committee. “He will strengthen a side with limited resources at the moment…his partners in the team have barely changed, but he’s barely played for a year”. Musa was a popular player amongst fans during his time in Russia: some fans responding to the story on championat.com were scathing of Sozin’s slightly unpleasant choice of words, but many felt the same pessimism. There is plenty to play for: CSKA are just behind Zenit Saint Petersburg, Spartak Moscow and FC Krasnodar in the league. Zenit are faltering after a wonderful start, and Krasnodar seem unable to find that sixth gear to propel themselves into the top two. It could end up being a tight three-horse race (Zenit, Spartak and CSKA) for second place. Saul Pope has been following Russian football since the mid-nineties, and first saw a live game in 1998 (Zenit St. Petersburg vs Shinnik Yaroslavl’). He has been contributing to When Saturday Comes magazine for over a decade, with a particular focus on social, economic and political issues surrounding the game in Russia and, to a lesser extent, Ukraine. He has a particular passion for teams in and around St. Petersburg. A fluent Russian speaker, he graduated from the University of Surrey with a Master’s degree in the language. He lives in the UK, but travels back to Russia on a regular basis.